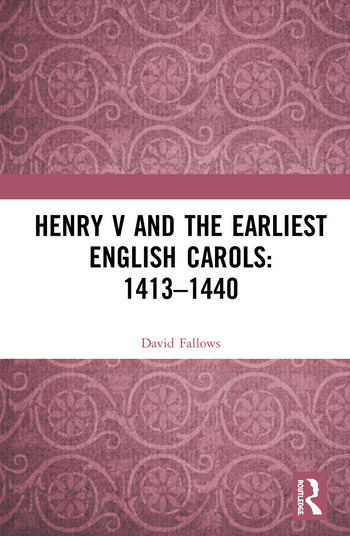 As a distinctive and attractive musical repertory, the hundred-odd English carols of the fifteenth century have always had a ready audience. But some of the key viewpoints about them date back to the late 1920s, when Richard L. Greene first defined the poetic form; and little has been published about them since the burst of activity around 1950, when a new manuscript was found and when John Stevens published his still definitive edition of all the music, both giving rise to substantial publications by major scholars in both music and literature. This book offers a new survey of the repertory with a firmer focus on the form and its history. Fresh examination of the manuscripts and of the styles of the music they contain leads to new proposals about their dates, origins and purposes. Placing them in the context of the massive growth of scholarly research on other fifteenth-century music over the past fifty years gives rise to several fresh angles on the music. David Fallows taught at the University of Manchester for thirty-five years until his retirement in 2011. He is author of Dufay (1982), Josquin (2009), several critical editions and many articles about the 'long' fifteenth century from Zachara da Teramo to Henry VIII – some of them reissued in two Variorum volumes of his essays published by Ashgate (1996 and 2010).